Check out this roundup of Country Music Cutest Kids including new babies and some of the cutest toddlers on the planet born to Country Music stars. Picking Country Music Cutest Kids is no small feat as there are some many adorable babies and kids to choose from. The children of country music stars tend to be in the spotlight a lot, especially because of their parents’ successful careers. Sometimes they are brought out on stage. Other times, they’re featured on Instagram where fans can obsess over how adorable they are. Check out this photo gallery with cute country music kids below! Although Chris offers up comments about his children here and there, don’t expect many details about their private lives to be shared. The pair occasionally chooses to share snapshots of their little ones in action. As can be expected, the youngsters’ faces are not fully shown. The couple prefers to keep the names of their four children private. The twins Betsy Mack and Emory JoAnn, are now 5 months old. Hillary has been faithfully updating fans on the twins’ development and is so proud of their progress. 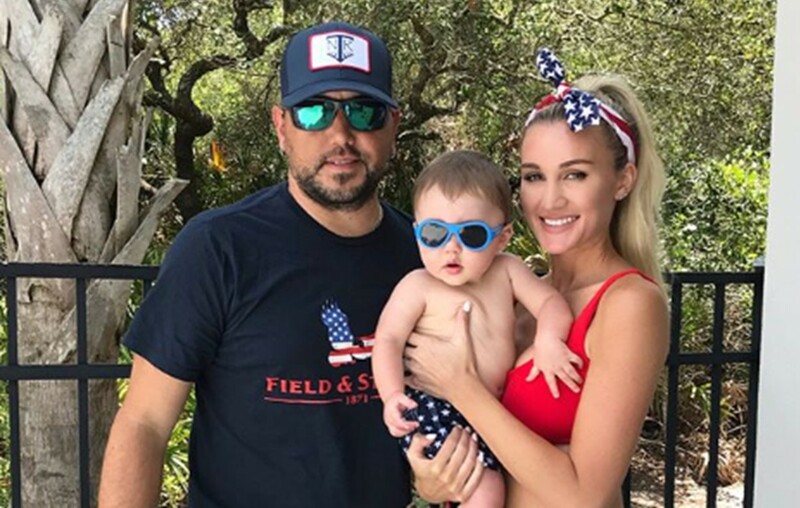 Believe it or not, country music star Jason Aldean and wife Brittany‘s baby boy is now 7-months-old! Little Memphis is looking more and more like his famous father as each day passes. 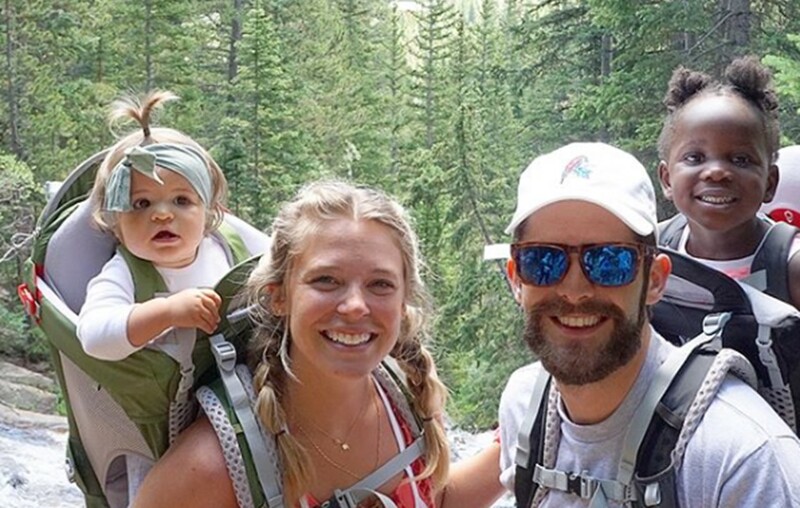 Thomas Rhett and wife Lauren adopted Willa Gray from Uganda just months before Lauren gave birth to newborn Ada James. While Willa Gray is still adjusting to becoming a big sister, the two girls could not be any cuter! Thomas Rhett has had Willa on stage before, and he also features both girls on Instagram quite often…That is, if he has a break from touring and promoting his new record. He’s not shy to show off how cute his baby girls are! Here is another recent photo of the family as they enjoyed a day of hiking while in the Denver, Colorado area. 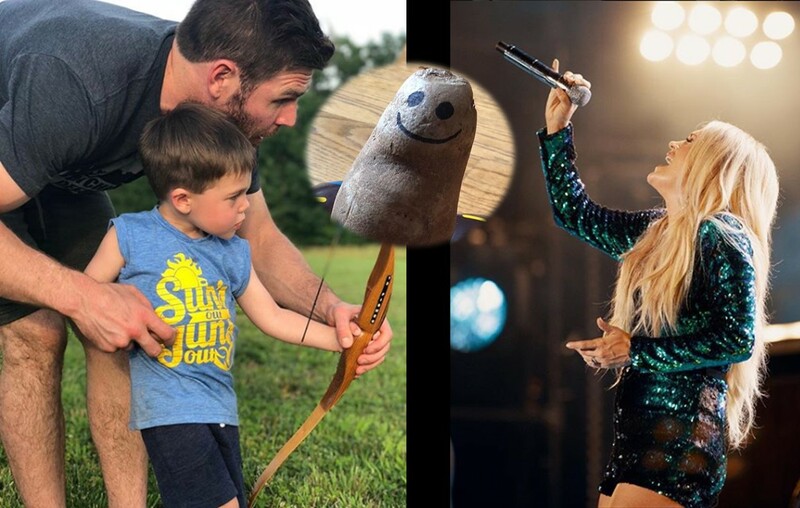 As the son of superstar country singer Carrie Underwood and NHL player Mike Fisher, Isaiah has the genes to become famous as well incredibly handsome. He’s already starting to work out with his mom, who has her own activewear fashion line called Calia by Carrie. Though Fisher recently retired from the NHL, Isaiah continues to support the Nashville Predators alongside the man he looks up to the most: his dad. What a cutie! Jolie Rae was born in January 2016 to country singer and actress Jana Kramer and husband Michael Caussin. She is definitely as girly as her mama! Check out this cute photo of her on a plane with her pink sunglasses and a shirt that says “the snuggle is real.” Oh, and don’t forget the overdramatic pose she’s got going on as she leans back against the seat. This pic is everything.. My diva is in route to me. #mississippi I can't wait to squeeze her!!!!!!!!! Little Big Town‘s Kimberly Schlapman and her husband, Stephen, adopted a baby girl named Dolly Grace with the help of their first daughter, Daisy. Daisy asked Santa for a baby for Christmas, and the rest is history! The family grew by one more beautiful daughter. Here is the proud big sister with Dolly Grace! Let's be #HappyPeople 🌼 Thx @mrbobbybones! Shay Mooney of Dan + Shay and his fiancé, Hannah, welcomed a baby boy, Asher James, in January. Since then, the singer’s favorite audience is made up of one very small and very cute fan. He even says that he makes up little songs for Asher whenever he is holding him. I will thank God every day for this little guy. I don't know what I did to deserve such an amazing baby boy. This is our greatest accomplishment @hannah.billingsley ☺️ I love you both so insanely much. Dierks Bentley’s son Knox is a bigger Nashville Predators fan than his dad! Dierks has a hobby of playing hockey, and Knox seems to be following in his footsteps with his hockey pride. Check out this cute photo of him supporting the Preds. Knox also has two sisters, Jordan and Evie. When Jake Owen goes on tour, he gets sad that he has to leave behind play dates with his daughter, Pearl. They make the cutest father-daughter duo, and they even sing songs together! Owen loves to spend quality time with his adorable daughter…and sometimes he gets to take her to magical places. Check out these cute photos from the proud father’s Instagram! I've had some great birthdays, but yesterday was one of the best ever. I sometimes think.. Damn. I'm getting older. Just when that thought crosses my mind, I realize how my life is only getting better day by day. This little girl Pearl is the reason I wake up every day and TRY to be the best man I can be. Every day it's a challenge to be the best Dad I can be to her and make sure she knows that there isn't a song, a show, or anything that comes before her. Single Dad life isn't what I'd planned on, but I'm so lucky that I have this little girl to constantly remind me of my purpose on this earth. Thanks for all the birthday wishes. I'm also so damn blessed to have the friends and family that surround me. Life is great at 36. Honestly, this collection of snapshots is just the tip of the iceberg when it comes to sweet kiddos in the country music community! There are a ton of adorable little ones to fawn over. Share these cuties with other country music fans!